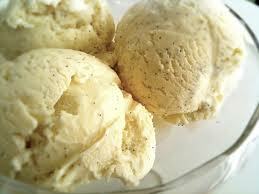 The vanilla bean and ice cream notes in this flavor are evident but not overpowering. A delightful mainstay vape. I can't believe I haven't reviewed this yet, it's the first one we go through in my house and dare I say it, might be better than Vanilla Love... I still love that too (no pun intended) but have tried a LOT of vanilla ice creams and simply put, none compare to this. No doubt about it. I just ordered the big bottle because believe me I was sad when it was gone last time and I need my sweet 'nilla cream every day or well, let's just say it's a much brighter day with it around :) All hail Altcig; I still don't know how they do it but I am convinced the flavor angels have blessed Bob, Sunny and Hans with extra-special goodness just so we can enjoy thier wonderful creations and I am so grateful. Thank you thank you thank you! Everyone likes different tastes. And I can't find anything else better than this. I've tried many different flavor and gave it away coz can't like anything but this. Buying more! The AltCig vanilla is fantastic and you get an added creamy taste with this vape. Like vanilla love? You'll like this one, too.